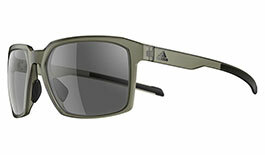 adidas eyewear products are developed to meet the needs of various sports and the lifestyle surrounding sport. 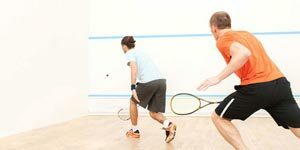 Top athletes are involved in developing new high performance eyewear, which ensures the best combination of next-generation frame and lens technologies, including personalised fit and best vision. adidas eyewear is therefore not just another pair of sunglasses, but an essential part of your sport equipment that supports better vision. Built to face anything. 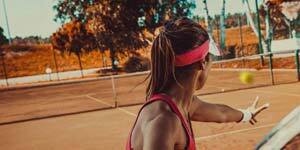 Boasting nearly seven decades of experience in the production of performance sports equipment, adidas have channeled their knowledge into creating quality eyewear, worn by some of the world's biggest names in a breadth of sporting disciplines. 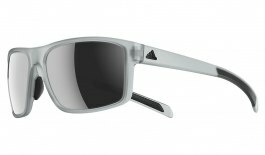 The adidas eyewear range is pinned down by four key principles: vision, fit, protection and durability. Every model has been made to harness each of these elements, with the resulting eyewear providing exceptional performance in a wide range of conditions. 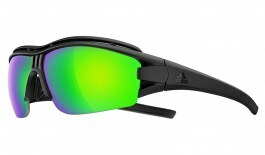 adidas specialise in extremely wrapped eyewear, providing total protection of the ocular area. Contrast-boosting, polarised and photochromic lenses, and a huge selection of frame accessories, make these models unbelievably versatile. 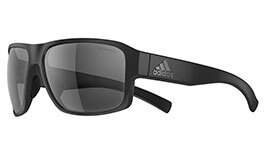 Four key concepts pin down the adidas Eyewear philosophy: ultimate vision, optimum protection, customized fit and maximum durability. 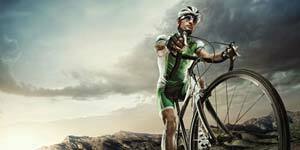 These are the key characteristics of a quality sports frame. 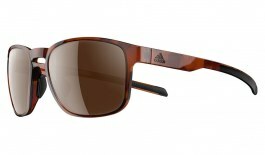 adidas Eyewear has evolved these properties, fine tuned to the requirements of individual sports. 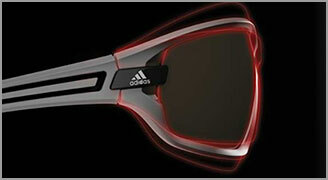 World record or personal best – the Vision Concept by adidas Eyewear optimises sports performance. 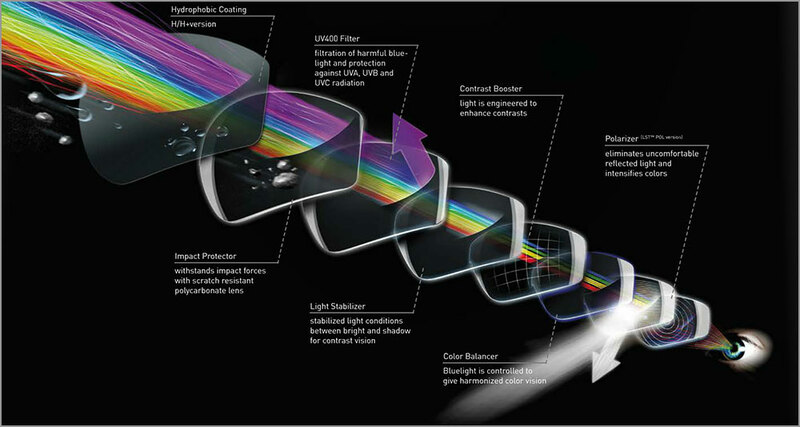 Cutting edge technological developments and innovative design ensure clear vision even under the most difficult conditions, such as the rapid interplay of light and shadow, strong UV radiation, dust or insects. 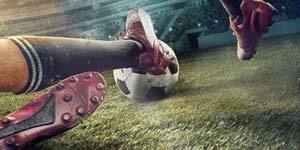 This enhances concentration and performance. Perfect vision for your vision. 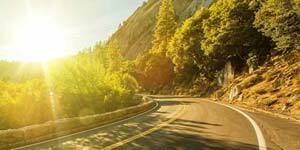 To ensure optimum vision, the eyes must be protected against irritating physical influences. 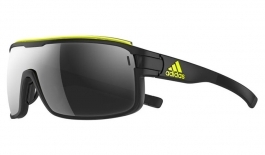 Consequently, adidas sunglasses pay heightened attention to safety aspects. 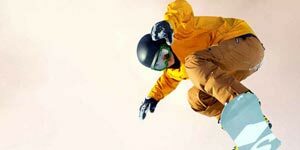 The Protection Concept offers maximum safety: materials, filters, build – everything is geared to protect the eyes and the frame in order to enhance athletic performance. 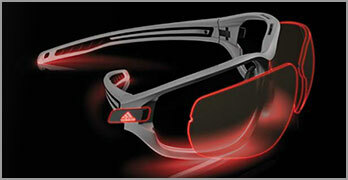 The adidas eyewear Protection Concept – a safe step closer to your vision. 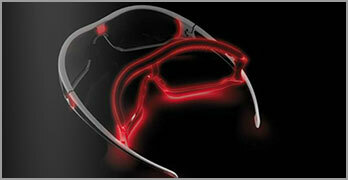 In addition to optimum vision and maximum protection, it is necessary to have the perfect fitting eyewear. 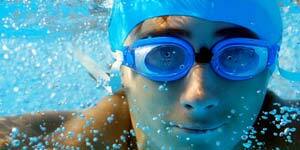 This aids to maintain concentration and performance levels. 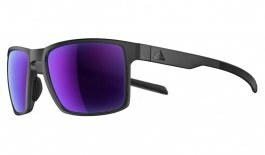 Minimum weight, maximum flexibility and numerous adidas sunglasses features for individual adjustment combine perfect fit with supreme wearing comfort and ensure that you feel the sunglasses only when taking them off. 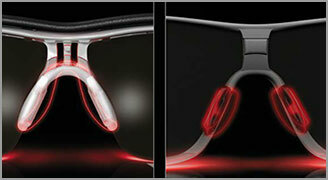 Athletes expect their sunglasses to perform as themselves – and quite rightly so. 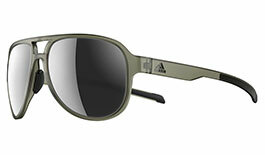 adidas Eyewear is developed and tested for and under the very toughest conditions for maximum durability, adidas eyewear – high-tech for eye-tech. 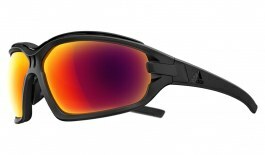 A range of technical features, including detachable temples and impact-resistant lenses unsure that these sunglasses will stand up to the most demanding pursuits. 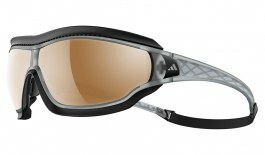 The Evil Eye Evo Pro is your ideal companion for the toughest trail rides and general off-road activity. 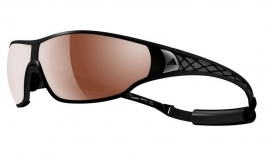 Its full-rim design, created using adidas' proprietary SPX® frame material, makes this model extremely tough and protects the polycarbonate lenses housed within from any excessive damage in the unlikely event of impact. 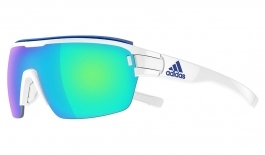 With the opportunity to easily switch lenses, you'll be able to use these sunglasses in any weather condition thanks to the wide selection of lens tints offered by adidas. Detachable foam bar helps to keep sweat out of the eyes and moisture away from the lens. Sliding the adidas logo at the temples releases the lenses. 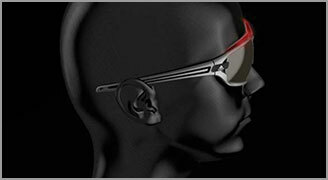 Multiple position temples adjust to provide optimal fit and minimise incoming wind and glare. 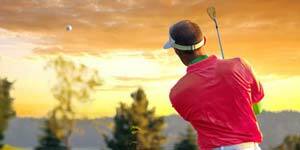 For golf there are few models which can compare to the Kumacross Halfrim. With a halfrim shape, this model offers unobstructed views in the lower periphery, making it easier to address the ball and the course compared to full-rim frames. A range of features, inclduing Double-Snap Nose Pads™, a wrap-around shape, and lightweight SPX® frame material makes the Kumacross Halfrim an extremely comfortable and accommodating frame, well suited for use all day long on the golf course. Comfortable fit and grip thanks to adjustable nose pads. 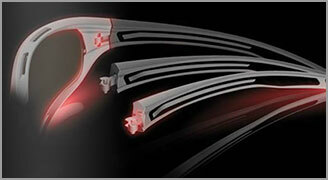 Ultralight, flexible and allergy-free frame material guarantees a comfortable fit. Patented release mechanism for the temple hinges. The temples can be easily clicked in or out. When you're combating the most challenging mountain terrain and winter weather the Tycane Pro Outdoor will be your most dependable accessory. 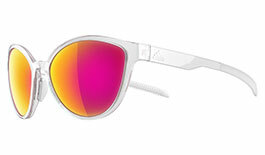 The extreme wrap-around shape of this model provides unmatched coverage of the ocular area, giving exceptional peripheral views and physical protection from the elements. To enhance protection Face-Fit Foam Pad creates a seal around the eyes to keep moisture away and reduce the risk of lens misting or fogging. 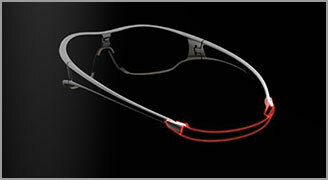 A detachable head-strap will keep the fit as secure as possible. 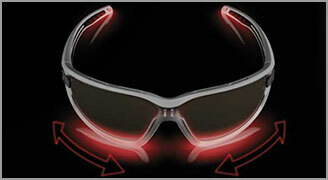 Completely wraps around the eyes for the widest vision and maximum protection. Maximum hold and comfort thanks to a perfect fit. 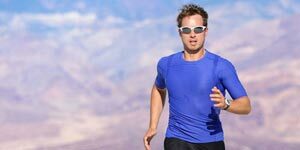 All adidas Eyewear lenses are made using polycarbonate - a particularly strong material which offers outstanding impact protection along with light weight so as not to upset the balanced fit of every frame. 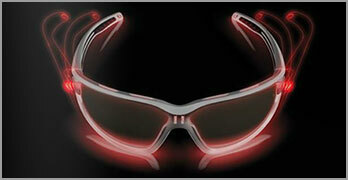 Selected adidas lenses offer the proprietary LST™ (Light Stabilising Technology) design. 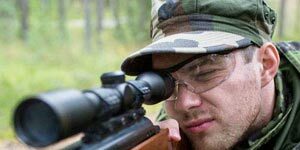 These lenses are designed to provide a constant view with contrast enhancement, maximum peripheral view and natural colours - no matter the light condition. 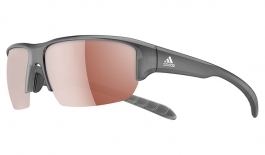 We offer a generous selection of replacement and accessory lenses for selected adidas Eyewear models. 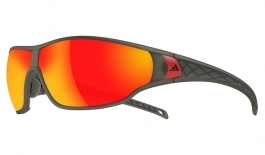 Go to our adidas Sunglasses Replacement Lenses section to see our range.